…..And we will be 41 pilots for a list of 40…..
Last minute participation of our buddies from Spain, could not refuse their participation as it has been a while we haven’t seen them. below the flying order for this weekend. First pilot will be randomly picked on site. 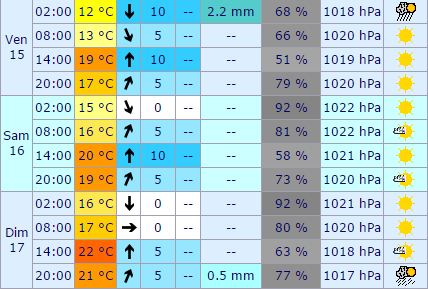 Regarding weather, it was fairly pessimistic last week for friday but was better for the weekend, and now we can see some great forecast (wind speed is down the valley, much more on the slope).